I have webcam (Lenovo EasyCamera and USB Video Device (External)) that doesn't detect my PC, but the device is enabled in Device Manager. Both of them are enabled. 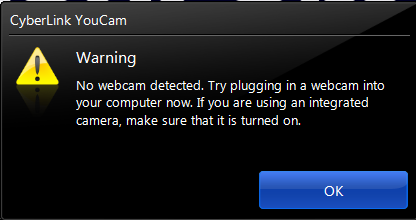 If I remove the other webcam it still doesn't work though. I have no idea what causes this, it works the last time I used this but after couple of weeks it doesn't work for some reason. 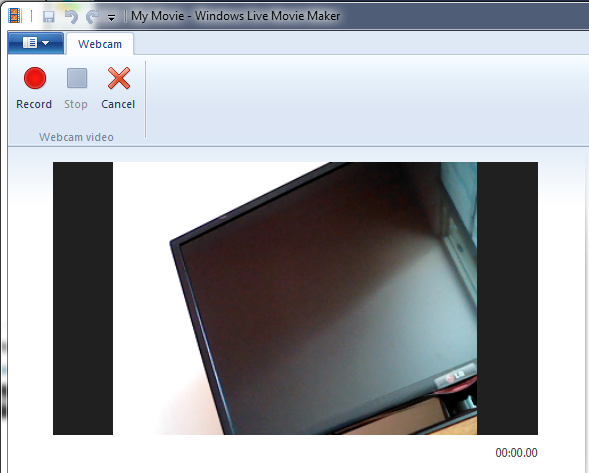 Here's what it looks like on some programs that needed a webcam. Any solution for this stuff? Any help would be appreciated. Try to install the drivers from A4 TECH PC Camera H Drivers Download, then reboot. Create first a system restore point so you can undo the installation in case of problems. The given link was to the page Vimicro Products Download Center. But as the listed drivers are rather old, verify the above by downloading and trying the Detection Tool of Vimicro PC Camera Processors Model without notice, to see if your webcam is really Vimicro. Check this website (testwebcam.com) and see if adobe flash player could find and connect to your webcam. Press Win+R and type dxdiag and check all the tabs to see if there is any problems with your directx. Try this: Open Facebook and start video chatting with some one. And after the call is answered press FN+F6(key board shortcut for webcam). It worked for me!! I. 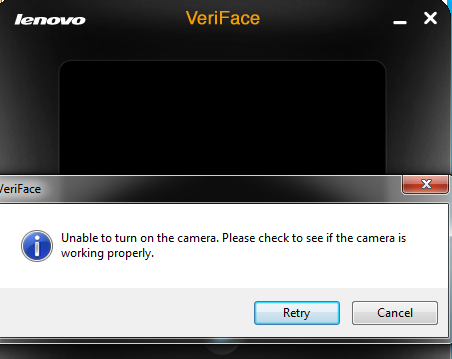 Find the correct driver for your webcam on the internet (it is most likely free on Lenovo's website; however, you could use the driver install disc that most likely came with your webcam). Click Start, type Device Manager, and press Enter. Find and double-click the category of device whose driver you wish to uninstall (for example, the graphics card would be listed under Display Adapters). Right-click the device, and click Uninstall. Windows will prompt you to confirm the device’s removal. Click OK to remove the driver. After the uninstallation is complete, reboot your computer as soon as possible. During boot-up, continuously press F8 to get to Advanced Boot Options. Note: On some systems, you need to first press F2 to go into Boot Menu, then press F8 to reach Advanced Boot Options. After your computer has completed the boot process, please install the drivers per the included instructions. I even did a system restore, rolled back some windows updates, did a hardware troubleshoot and all of that. 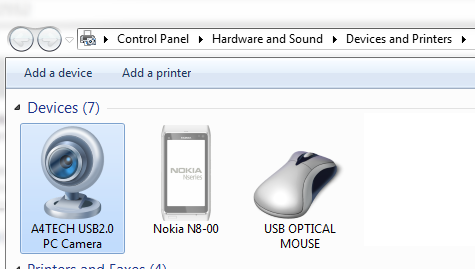 I checked the device manager for imaging devices and it was blank. I even tried viewing hidden devices and nothing was detected. Now, a lot of people will recommend UNINSTALLING the driver in safe mode. DON'T DO IT. Here's what you do instead. Boot in safe mode. You can do this by pressing down the shift key and clicking the restart option in the start menu. When you are in safe mode, open device manager. You will be able to view imaging devices (VOILA!!!). Expand and right click on your camera. Select Properties. Go to the Driver Tab and click on Driver Details. Now, make a folder in your Documents and copy paste ALL of the Driver files from their original locations in this folder. Make sure you copy the locations they are supposed to be in as well. Now when you start up in normal mode, go to these locations and CHECK if the driver files exist. My guess is that at least one of them will be missing. Now, copy paste them from the backup you created in Documents in safe mode. You should now be able to see the imaging devices even in normal mode. Not the answer you're looking for? Browse other questions tagged windows-7 webcam or ask your own question. How can I use my iSight camera in VirtualBox? Is it possible to “transplant” drivers between machines? Why doesn't Windows 7 System Recovery detect an OS?